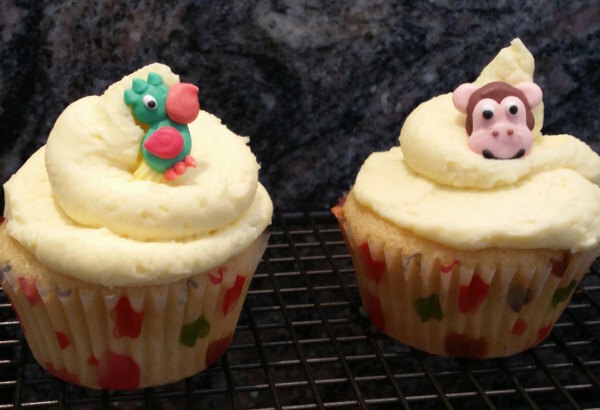 These cupcakes are light and moist and are especially delicious when served with our fantastic frosting . The batter is quick and easy and they only take a few minutes to cook so it is easy to make multiple batches to serve at parties or a single tray to have as a nughty indulgence. 1/4 Cup of Corn starch. 1/2 tsp of baking soda. Sift the flours, baking powder, baking soda, and salt together in a bowl. Beat two eggs together for 2 - 3 minutes at a medium speed in your mixer. Add sugar, vanilla extract, and oil to the bowl and mix for 3 minutes. Pour the batter into a cupcake pan lined with cupcake liners. Allow to cool and then top with your favourite frosting. A tasty pumpkin puree is the foundation of many delicious recipes and contrary to popular belief does not come out of a can. Many will tell you that puree out of a can is as good or better than the canned stuff but I would suggest that they have never tasted puree made from scratch or are have convinced themselves that it is true for the sake of convenience. Personally I am convinced that a pumpkin pie, pumpkin whoopie cookies, pumpkin bread and other foods made using pumpkin puree taste much better when the puree is made from scratch using fresh pumpkin. Try it yourself using this recipe and let me know what you think. Preheat oven to 400°F ( 200°C). Cut pumpkin in half crosswise and scoop out seeds and stringy material. Sprinkle cut edges of the pumpkin with salt. Place pumpkin cut side down on a baking tray lined with baking paper. Cook for approximately 45 minutes until a knife is easily inserted into the flesh. 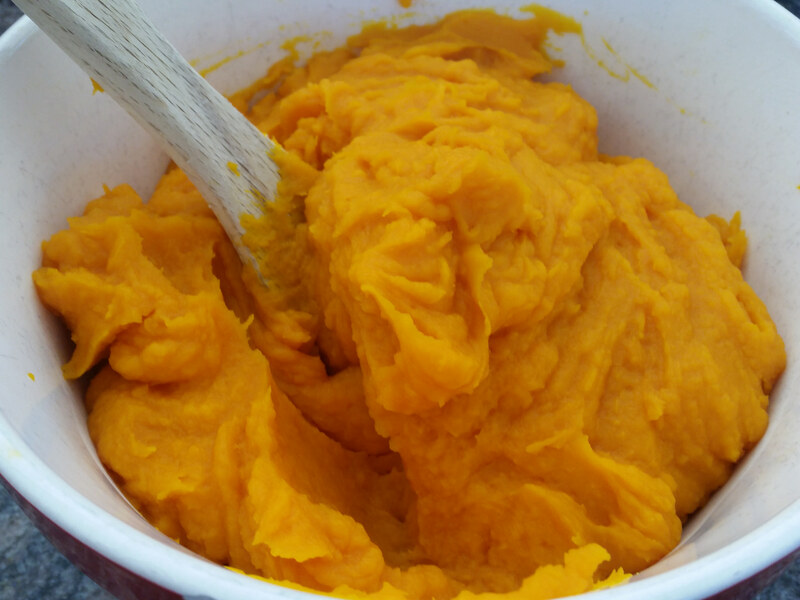 Scoop the roasted pumpkin out of the skin and place in the bowl of a food processor. Blend the roasted pumpkin until it is smooth. Use straight away or freeze for future use. This is an easy white sandwich loaf recipe which works every time for me. This bread rises well and the result is a fluffy white loaf which is ideal for toasting or making your favourite sandwich. My guilty little secret is that this bread doesn't always get to cool completely before it gets eaten, we love to cut off a hot end crust and eat it smothered with butter. Add the ingredients to a bowl in the order listed above then mix and knead until it forms an elastic, bouncy dough. Punch down the dough and form it into a 9" log. Bake for 40 minutes , tenting with aluminium foil after the first 20 minutes. Hint: I use the stainless steel mixer bowl on my Kenwood Chef Kitchen Machine to mix the ingredients and if it is cold to touch I warm the bowl with warm water before I start. 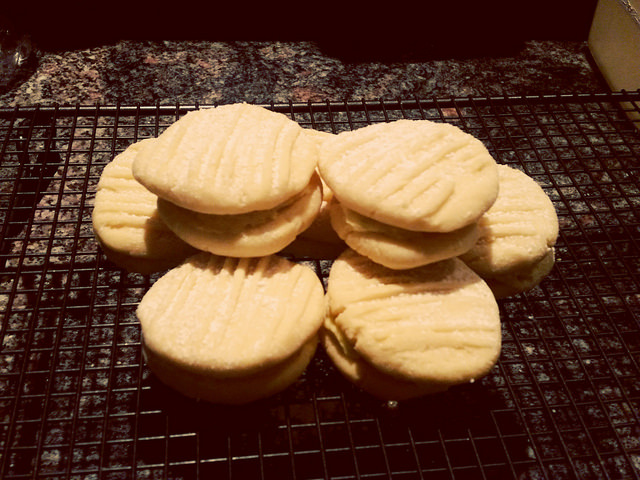 Melting Moments are without doubt my favorite biscuit and a freshly baked tray doesn't last very long in our home. The buttery goodness of these biscuits crumbles and melts in the mouth and is perfectly complemented by the orange and vanilla flavors of the creamy filling which holds them together. If you are planning to entertain with these be sure to make more than you need because I'm pretty sure that quite a few will not make it to the table. 1/2 cup of sifted icing sugar. 250g of butter cut into cubes. 1 1/2 cups of plain flour. zest of 1 orange grated. 2/3 cup of sifted icing sugar. Place vanilla essence, butter, and icing sugar in an electric mixer and beat until pale and creamy. Mix flour and corn flour together and sift. Add sifted flours to the butter mixture and beat together gently until just combined into a dough. Flatten each ball with a fork until they are about 1" in diameter and 1/2" thick. Bake each tray for 15 - 20 minutes until cooked. While the biscuits are cooling add filling ingredients to a small bowl and use an electric mixer to beat until pale and creamy. Put Melting Moments together by putting a layer of filling on the flat side of one biscuit and pressing together with another. Lovely chocolate chip cookies with a crunch on the outside and soft chocolate goodness on the inside. 2 1/2 cups of plain flour. 1/2 a cup of cocoa powder. 1 tablespoon of hot water. 2 cups of chocolate chips. Cream butter and sugars together until smooth. Mix the baking soda to the hot water and add to the batter. 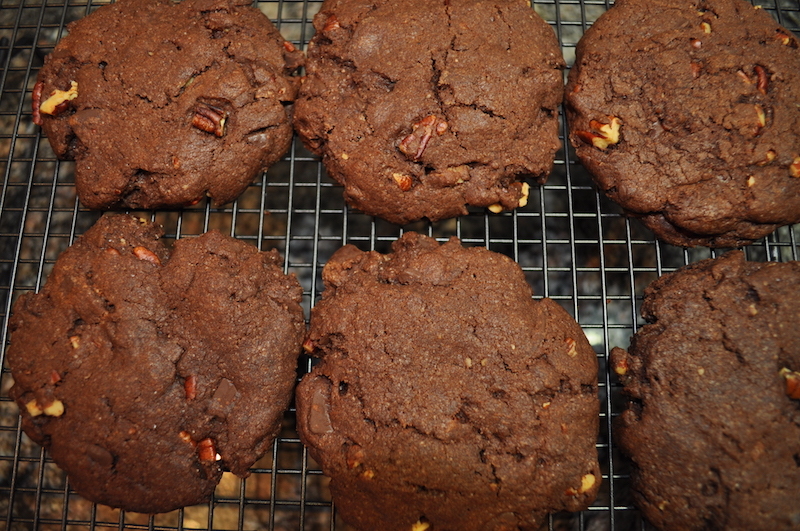 Fold flour, cocoa , chocolate chips, and nuts into the mixture. Place spoonfuls of the mixture onto an un-greased baking tray. bake until the cookie is just firm on the outside and still a little soft on the inside. ( 10 - 30 minutes depending on cookie size ) . I've tried many scone recipes over the years but this one is the quickest and easiest I have found and has never failed to deliver fresh scones which are delicious with jam and fresh cream. If you need to whip up morning or afternoon tea for unexpected visitors this recipe is perfect. Preheat the oven to 210C. Lightly grease a baking tray. Place the flour and salt in a large bowl. Make a well in the centre of the flour mix and add the cream and lemonade and mix with a butter knife to form a soft dough. Turn out onto a lightly floured workbench and knead lightly until combined. Press the dough with your hands to a thickness of about 2cm. 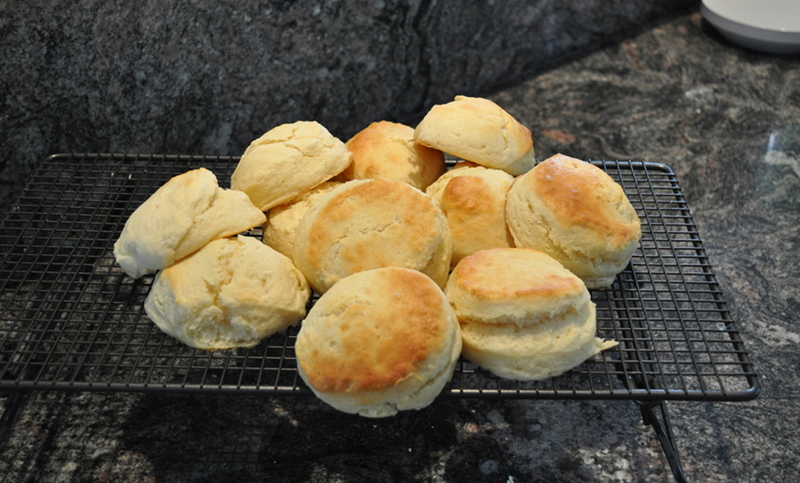 Use a 6cm round cutter to cut out 8 scones, place on baking tray and brush the tops with some milk. Bake for 10-15 minutes until lightly browned. Serve with your favourite jam and cream. 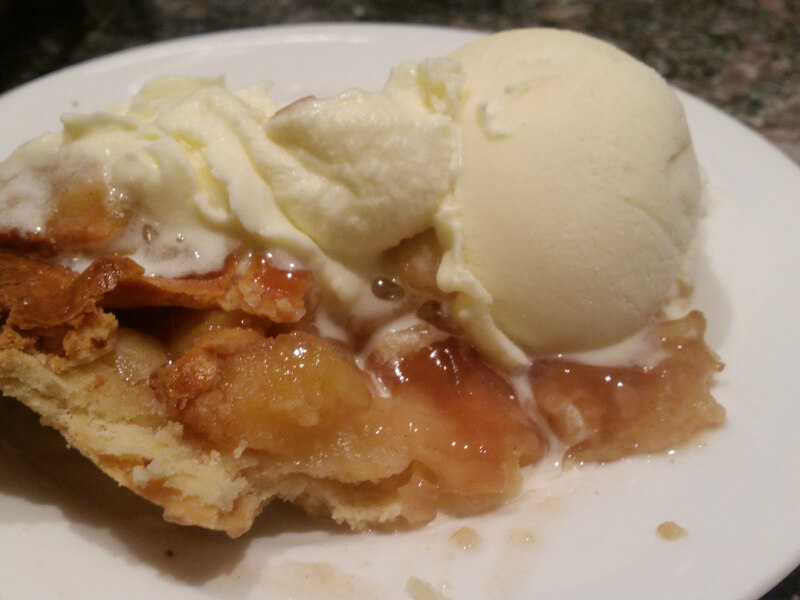 I have found that the secret to making an amazing apple pie is to use the right apples, allowing the apples time to dry after they have been sliced, and ttaking the time to bring the crust together carefully without overworking it. This recipe introduces a little cinnamon into the filling and the result is a brilliant pie which tastes fantastic by itself and even better when served warm with ice cream and freshly whipped cream. Peel & core the apples. Beat the butter and caster sugar until combined. Gradually mix in the flour using a spoon until the dough just comes together. 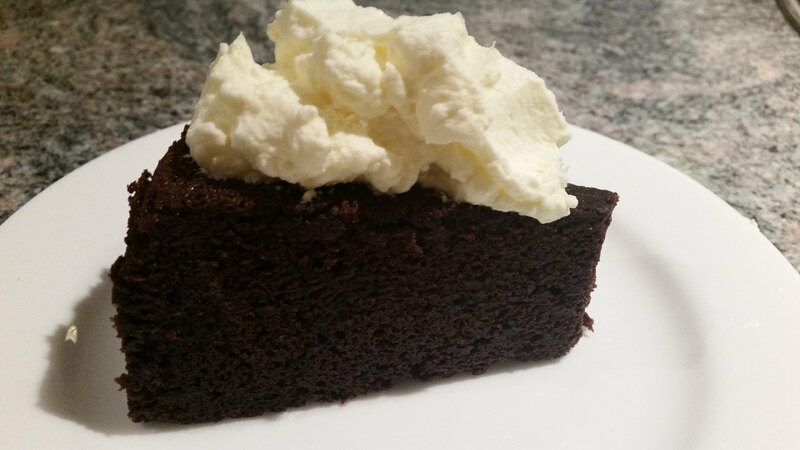 Allow to cool for 5 - 10 minutes and serve whilst still warm with whipped cream and vanilla icecream. If I'm looking for a hot dessert to finish off a meal with family and friends this is one of my go to recipe. 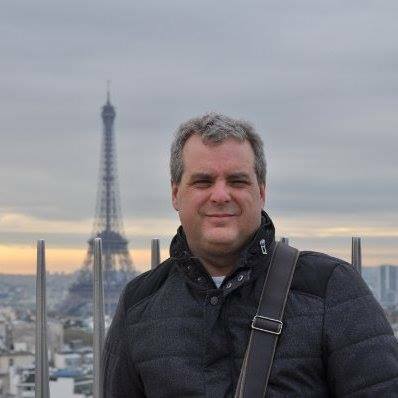 It is quick and easy to prepare and has never failed to have people coming back for more. I love to serve this pudding warm out of the oven with a large scoop of vanilla icecream melting in a bowl with it. Sift sugar, flour and salt in a large bowl. Melt the butter and add to flour mixture with milk . Combine thoroughly and place into the greased oven dish. Pour sauce mixture over the pudding mixture and bake for 30 - 40 minutes until the pudding is a dark golden brown colour an a skewer comes out clean when inserted. 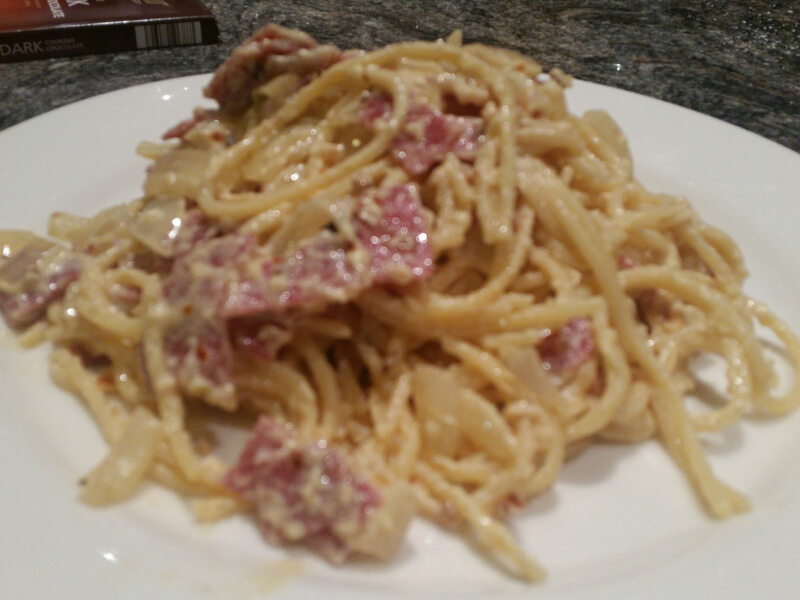 This simple tasty recipe is my twist on a traditional carbonara dish. It came about when I was cleaning out the fridge and found myself with a "mystery box" which looked a lot like the foundation for a tasty carbonara so I started to cook . Twenty minutes later after taking inspiration from my favorite veal recipe I came up with the following and it is fast becoming one of my favourite pasta dishes . I hope you enjoy it as much as I do. This recipe is also great served with Fresh Fettucini which is well worth the effort if you have the time to spare. 2 teaspoons of chili flakes. 1/2 cup of Tomato passata. 1 tablespoon of crushed garlic. 2 fresh free range eggs. Salt & cracked pepper to season. 300 ml of sour cream. Cook the spaghetti in salted boiling water and set aside to drain. Fry the onions in butter with the crushed garlic until the onion is translucent but not browned..
Add the salami and chili flakes , fry for a 2 - 3 minutes . Meanwhile mix the sour cream, parmesan, and eggs in a bowl with a fork. Add the sour cream mix to the onion and salami mixture, along with the tomatoe passata and heat gently stirring until thickened. Serve straight away sprinked with fresh parmesan and garnished with chopped parsley if desired. As comfort foods go Mac & Cheese is right up there and is great served by itself or as a side dish with a tender steak. 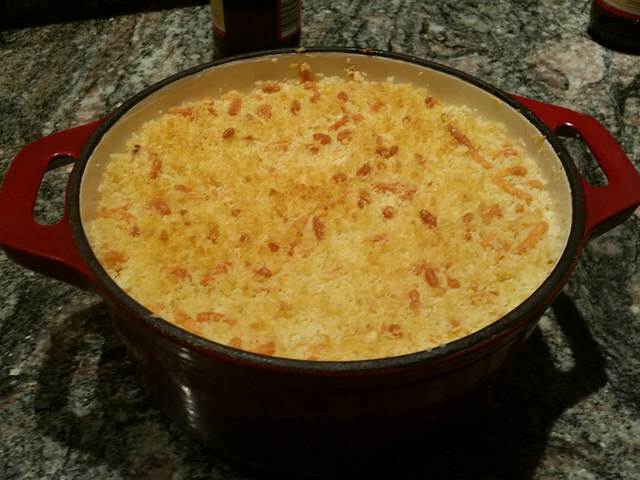 This Baked Macaroni cheese casserole recipe has been refined over many attempts and I'm pretty happy with it. 2 cups of macaroni , you can substitute Penne or another favorite pasta if you like. 2 cups of Panko breadcrumbs. Cook the macaroni in salted boiling water until it is almost al dente. Heat 3 tablespons of butter in a large saucepan. Cook the diced bacon, onion, and garlic until the onion is translucent but not browned. Add 1 cup of plain flour and mix into the onion mixture until the flour is a golden color. Add 1 cup of milk and stir until smooth. Drain the pasta and combine it into the cheese sauce. Place pasta mix into a medium casserole dish. Melt remaining butter in a medium pan and combine with the breadcrumbs and remaining cheese. Spread the breadcrumb mix over the pasta and bake in the pre-heated oven until golden brown.